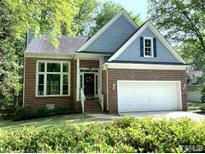 Oakwood Heights - This home is within minutes from Bond Park and Downtown Cary plus conveniently located to all major shopping. 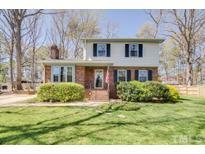 MLS#2246632. 297. Macgregor West - This incredible home has been freshly painted. MLS#2246381. 1710. Sun room and spacious screened porch lead to landscaped, private backyard hardscape featuring an outdoor kitchen, built in fire pit, and lots of patio space to entertain. Must See! MLS#2245802. 2017. 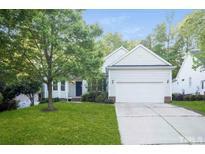 Close to PV amenities, Green Hope elementary & Cary Tennis Park! MLS#2246408. 1126. Summer Pointe - 3 car garage Very close to shopping,trails,hospital MLS#2246439. 2989. Energy-efficient home with 5 separate heating zones and a large, independent in-law suite. MLS#2246536. 1099. The master bedroom is a quite retreat overlooking a wooded lot. Welcome home! MLS#2245513. 2058. Beautifully landscaped. Original owners. Dont miss it! MLS#2245667. 4632. Cary Park - 3 minutes - using sidewalks to Cary Greenway Access. MLS#2246592. 989. Wyndfall - The beautiful kitchen is well appointed with w/Stainless Steel appliances, dual ovens, and granite countertops! MLS#2246359. 986. Saratoga Park - Oversized garage & floored attic. A MUST SEE! MLS#2246326. 2016. The Reserve - The Rserve has its own SwimTeam & Social committee. MUST SEE! MLS#2246364. 3051. Friendship Corner - 7 minutes from downtown Cary & 5 minutes popular Park West Shopping Village. MLS#2246621. 1127. Come see this move-in ready gem. MLS#2246469. 45. Weston Pointe - Walk to Pool/Tennis. Surrounded by Hiking/Biking trails. MLS#2245893. 1483. Tatton Place - Master bath features WHIRLPOOL & SEPARATE SHOWER. Oversize Garage. MLS#2236886. 1709. Walking distance to the Amberly neighborhood amenities. 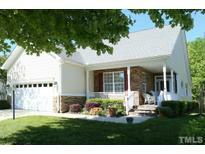 MLS#2246390. 2731. Harmony - Please verify school with wcpss. Showing starts on Saturday. MLS#2246654. 4860. Grab a bite to eat at the famous La Farm Bakery, then enjoy a tour of your new home. MLS#2241100. 3770. Just minutes to the Airport, RTP, shopping, Public parks, restuarants, Whole Foods, Starbucks & greenway! MOVE IN READY MLS#2245692. 3051. Fieldstone Village - Close to I-540, Hwy 55, walking distance to Sears Farm Park - Great location! MLS#2246119. 1127. Refrigerator, bird bath, custom bookcases & bench included! MLS#2246648. 986. 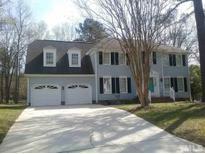 Located in Brookstone one of the most desired areas in Cary. MLS#2245218. 1128. Edgehill Farms - Fenced in backyard w/oversized deck. MUST SEE! MLS#2246354. 5019.